Andreas Önnerfors has an interesting essay about “The plans of the Strict Observance to establish a female branch”. The Strict Observance? Aren’t they… very conservative? In the archives of the Strict Observance in Denmark the author found a very well worked-out plan of 57 pages from 1773 for a female Strict Observance lodge that apparently escaped everyone until he discovered it. The documents contain regulations and even rituals. Önnerfors reprints all that he found, partly in three different languages (German, Swedish and English). Now you may say: that’s probably an action of a few renegade members in the far North, but among the papers there is even a letter of Baron von Hund who was of the opinion that it was not yet a good idea to start a female lodge. In spite of the far developed plans, they never seem to have come to fruition. Önnerfors opens with an interesting thought. What if the thinking about and development of forms of Freemasonry for (men and) women, triggered the development of chivalric (male) high grades? In 1748 there appears to have been a Loge des Dames in Copenhagen. This was in fact a mixed lodge, since it had a male Warden and also its Grand Master was a man. This Grand Master was Wilhelm Matthias Neergaard who was also involved in the early development of high grades in Germany. The lodge initiated women over de course of several years. The author found another document that connects women to high grades. A document from Germany that was brought to Sweden which speaks of “your lady knight”. The the Strict Observance system then. Contrary to the ‘normal’ Strict Observance, the dames system had five degrees instead of seven. The texts are very detailed and people who are better acquainted with the Strict Observance than myself may be able to judge how far the dames system differs from, or is similar to, the ‘normal’ system. Notable, for example, is the form of the temple, which is a square with an added triangle on one side. Within this triangle there is a ‘holy of holies’ part that is shielded from the rest of the temple. The “deputy master” is a man, but he is the assistant of the ‘Maitresse en chaire’ and a lodge must consist of at least five persons, but besides the “deputy master” they should be female. The ‘Maitresse en chaire’ has contact with other SO lodges, all of them. There is an interesting twitch to the five degrees. They correspond to Entered Apprentice, Fellowcraft and Master Mason, but contrary to normal SO, the fourth degree is reserved for the Wardens and the fifth for the ‘Maitresse en chaire’. The Wardens have a different name in each degree. Other functions are secretary, treasurer, orator and ‘serving sister’ (a master of ceremonies). Secretary is a very important function reserved for people in the highest degree (so she must have been ‘Maitresse en chaire’ before?). There are quite a few demands, one of which is that she must be fluid in both French and German, apparently with the international contacts in mind. The author prints drawings that have been made for several jewels. The lodge, furniture and equipment are described. “[T]he initiation rituals vary from a rather complex one for the first to a mere instruction for the higher degrees.” They are described with quite some detail. An interesting point about the oath: “It is also a part of the oath to pay honour to the order of male Freemasonry, to support its lodges and to protect it against accusations from outside”. Also amusing is that the initiate receives two pairs of gloves, one of which is for “the man she esteems most”. There are quite elaborate tracing boards with elements from the Old Testament (which Davies thinks typical for French lodges of adoption). An interesting element is the “Frère terrible”, a man of posture, whose task -as the name suggests- is to frighten the candidate. The author sees similarities with French rituals from lodges of adoption, such as the somewhat odd “I think so” answers in the catechism and the climbing of the Jacob’s ladder. Closing off the author refers to other rituals of adoption lodges that are found in Scandinavia and concludes that in these early days, such lodges were fairly common all over Europe. So common, even the Strict Observance had a project with it! A while ago a regular Freemason was making fun of my kind of Freemasonry towards a brother of his. He mentioned Annie Besant (1847-1933) and Rudolf Steiner (1861-1925), since Theosophy alone is an argument that mixed gender Freemasonry can’t be much. I enlightened the good man a bit on the fact that, to take the Netherlands as example, mixed gender Freemasonry indeed started as a ‘Theosophical project’, already 14 years after the establishment of the first lodge, a general non-Theosophical Rite was imposed by the Supreme Council of Le Droit Humain. 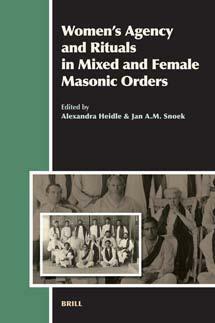 So of the 112 years of history of mixed gender Freemasonry in the Netherlands, only 14 are ‘really Theosophical’. With that said, Annie Besant is clear, but why did the man name Rudolf Steiner? Just because this name popped into his head? I never heard that Steiner had anything to do with mixed gender Freemasonry. It would not be illogical though, since Steiner left the Theosophical Society to walk a more Western path, so this was something to look into. So Bamford claims that Blavatsky was a Freemason? That definately is another thing to look into! So says Wikipedia. This happened in a time in which esotericism was very popular, also among Freemasons. It is not surprising to find a Freemason among the founders of the Theosophical Society: Olcott. Olcott is frequently connected to Le Droit Humain, but I have not been able to verify this. Besides, Le Droit Humain would not be founded before 1893, so Olcott must have been a Freemason elsewhere before he (allegedly) went over to Le Droit Humain. This website says he was a member of an American lodge of the Scottish Rite. That does not way much, because most Freemasonry is in some way “Scottish”. On the 17th April we began to talk with Sotheran, General T., and one or two other high Masons about constituting our Society into a Masonic body with a Ritual and Degrees; the idea being that it would form a natural complement to the higher degrees of the craft, restoring to it the vital element of Oriental mysticism which it lacked or had lost. At the same time, such an arrangement would give strength and permanency to the Society, by allying it to the ancient Brotherhood whose lodges are established throughout the whole world. Now that I come to look back at it, we were in reality but planning to repeat the work of Cagliostro, whose Egyptian Lodge was in his days so powerful a centre for the propagation of Eastern occult thought. Thus Olcott writes in Diary Leaves part 1 (1874-78). Cagliostro, the forerunner of Memphis-Misraim. Would Olcott not have been part of a Scottisch but of an Egyptian lodge? We also ran into Memphis-Misraim with the enigmatic John Yarker who supposedly initiated Blavatsky, so who was John Yarker? Born in the UK in 1833, Yarker became Freemason at the age of 21. He left again in 1862 only to become head of the British/Irish section of Memphis-Misraim in 1872 (on an American charter). This Rite has always been a bit of a black sheep within the Masonic landscape, naturally “irregular”. It appears that Yarker heard about Blavatsky, was impressed by this Russian woman and sent her a diploma for the “Sat Bhai” (one of his orders?). The two developed a correspondence. Blavatsky would mention Yarker in her piece on Freemasonry in Isis Unveiled and made him honorary member of the Theosophical Society. Yarker on his turn, sent Blavatsky diplomas of High Grades of the Rite of Memphis-Misraim. Blavatsky later claimed never to have been initiated into “Western” Freemasonry, but she did have her contacts with “Eastern” Freemasonry, mostly likely something wholly different but with a similar name. There you have the story of Blavatsky’s alledged membership. Some would have it that Steiner never became a Freemason. He only got the ritual to form his own ritual for his own organisation. Let us have a look at that. The book I mentioned earlier is one of the many books that have been published after Steiner’s death. His Anthroposophical Society was on the brink of splitting in two and Steiner’s widow was afraid of being accused of witholding information and decided to publish all material that she had available. The largest part of that material concerns lectures of which Steiner gave countless, but there is also correspondence, notes, etc. This is why there are so many books by Steiner, even though he wrote but a few books himself. In this way there is also a collection of material concerning an esoteric experiment by Steiner that he started when he was head of the German section of the Theosophical Society. Drawings, lectures and what is left of the rituals themselves where published under the name Zur Geschichte und aus den Inhalten der erkenntniskultischen Abteilung der Esoterischen Schule 1904 bis 1914 in 1987, a book of 526 pages. The title translates as ‘The history and from the contents of the knowledge-cultic division of the esoteric school 1904 until 1914’. In 2007 an English translation was published with a much more suggestive title, namely: The Misraim Service, “Freemasonry” and Ritual Work, the collected works of Rudolf Steiner with as description: “Letters, documents, ritual texts, and lectures from the history and contents of the cognitive ritual section of the esoteric school, 1904-1914”. That is a less-literal translation of the original title. This experiment has had different names. A few of those we just ran into. “Der erkenntniskultische Abteilung” was the description chosen by the editors of the German book. The translators chose to translate this as “cognitive ritual section”. Other descriptions include “Freimaurei” (Freemasonry), F.M. (Freimaurerei), Misraim-Dienst (translated as ‘Misraim service’) and M.D. (Misraim-Dienst, but sometimes also Michael Dienst after the archangel Michael) and ‘Mystica Aeterna’. The story behind this becomes somewhat clear in the book, but not entirely. Christopher Bamford wrote an extensive introduction to the English translation. He places quite some focus on Rudolf Steiner as a Freemason, while the editor of the German edition, Hella Wiesberger, largely ignores the entire Masonic connection. There is something to say for both approaches. Steiner became head of the German section of the Theosophical Society in 1902 and two years later Annie Besant appointed him head of the esoteric section. Steiner seems to have been unaware of Besant’s Masonic pursuits that started in 1902. When he wanted to give his esoteric section lineage and more structure, he looked at Freemasonry, but not Le Droit Humain into which Besant was initiated in 1902 and which she actively helped spread in the following years. Instead -as we saw in the quote above-, Steiner came in contact with Theodor Reuss, then head of the irregular organisation Memphis-Misraim. Reuss, on his turn, got involved in this organisation by way of the earlier mentioned John Yarker, so perhaps Steiner followed Blavatsky’s route rather than that of Annie Besant. Bamford does not divide between “regular” and “irregular” Freemasonry. He names “the Founding Fathers of the American Constitution” in the same line of Freemasons as “Madame Blavatsky”. Also Steiner seems not to have cared much about different kinds of Freemasonry, the book frequently mentions “Freemasonry” without stating what kind as if “Freemasonry” is one organisation. Neither does Steiner seem to care much if a person is actually initiated into Freemasonry and its three degrees or not, neither does Bamford. So was Rudolf Steiner a Freemason or not? When working with the Theosophical Society Rudolf Steiner would meet his second wife Marie Sivers. It was Sivers who made most of Steiner’s material available to the public. She wrote an article called: “Was Rudolf Steiner a Freemason?” in 1934 in which she denied the fact. This appears to be a half truth. A fact remains that he was probably initiated, but he was most likely never promoted to being a fellow or master. He did receive some high grades from Reuss though (upto 96º), even though Steiner largely ignored Reuss after he got what he needed. It appears as if Steiner lectured for his lodge for a few years and he felt himself Freemason enough to make remarks such as: “The Theosophical Movement is discussed by us Freemasons quite objectively.” (page 257 of the English book, emphasis mine.) So maybe he has been a Freemason for a few years afterall. Steiner also makes it clear that his esoteric working group was never intended to be a Masonic lodge. Prospective members also did not have to be Freemasons, but active members German Theosophical Society or (after 1912) the Anthroposophical Society. How Masonic was this esoteric working group? Large parts of some of the rituals are in the book. Not all material was saved. There are also drawings, lectures, notes from students, etc. Therefor the book gives a fairly good idea of what was going on. The material shows that there was some kind of initiation and texts of three more degrees are printed. I am not familiar with the rites of Memphis-Misraim. I can only say that the printed rituals are in some ways very recognisable and in many other ways not at all. The structure with openings and closings are recognisable, but there are massive walls of text in which mystics, Michael, Lucifer and Ahriman talk to eachother and to the candidate. The way the temple is arranged is different and there seems to have been different rooms for different parts of the ritual. 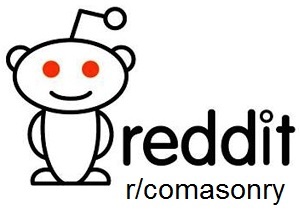 The rituals are surely based on (some sort of) Freemasony, but very different. What is interesting about the book is that Steiner explained and lectured about the ritual texts which gives alternative views on some elements of Masonic ritual. That, and the difference with other Masonic rituals makes the book a nice read. Inspite of the differences, the ritual texts might give away too much if you have not undergone some Masonic rituals though, but plan to do so. About Besant and Leadbeater you can read more within these pages, since they are one of the bases of the forms of Freemasonry that this website is about. Steiner’s system was not Freemasonry and his group stopped coming together with the First World War broke out, so that subject will remain to this small essay. So, there are certainly links between Theosophy and Freemasonry, especially in the early days of mixed gender Freemasonry. There is a tiny link between Theosophy and the rite of Memphis Misraim, mostly the exchange of honours and then Steiner’s thin and shortlived lineage. And of course the websites of the orders that could be interesting for you (see index page, by clicking on the logo above).